This is an official Coca-Cola yo-yo with some serious chops, designed for competitive play. This is an official Coca-Cola yo-yo, based on the Freshthings Premiere, and is set for tug-response play. 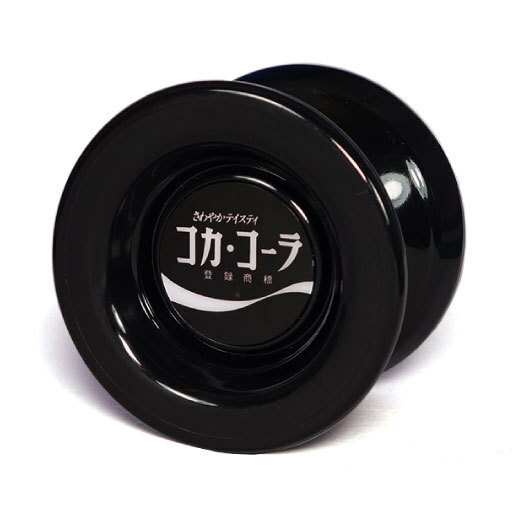 Compared to the original Coca-Cola yo-yos, there's a lot more you can do with this "wing type" model, and if you swap the bearing out with a size C bearing (sold separately), you can turn it into an expert-level bind-response model! This Premiere is set for beginners, it is a responsive yo-yo.